Car manufacturer Ford has produced a car that will help you stay healthy by using biometrics and connecting to smartphones and tablets. Revealed at the Consumer Electronics Show in Las Vegas last week, Ford said that in the future its cars could link to medical devices to help people maintain their “health and wellness”. The system would capture biometric and vehicle data and use it as the basis for real-time health and wellness advice and monitoring. The driver would provide voice inputs to tell the car about their health, such as the amount of water they have drunk, or what medication they have taken. This data would be combined with other health data to provide reports and recommendations. The system will presumably not command the obese to get out of the car and walk, but the “doctor in your car” system is not necessarily such an outrageous idea. 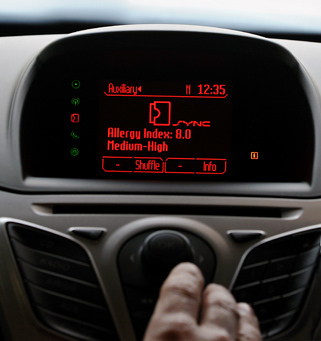 Once you get past the PR sheen of “the car that cares”, it is a sensible application of Ford’s existing voice-controlled connectivity technology Sync®, which has been developed in partnership with Microsoft. According to Ford, research indicates that people are spending a lot of time in their cars, so in-vehicle human health monitoring would be convenient and private. The technology could also provide personalised access to information, products and services. Ford also says it makes sense for people to manage their health while stuck in traffic – perhaps it would be entertaining to watch your blood pressure rise while you are stuck in traffic?! In addition, mobile healthcare apps are a growing market – Ford says that by 2015 some 500 million people are expected to be using them. Previous articleHow large can shipping go?